Thermal infrared (IR) energy is emitted from all things that have a temperature greater than absolute zero. Human eyes, primarily sensitive to shorter wavelength visible light, are unable to detect or differentiate between the longer-wavelength thermal IR "signatures" given off both by living beings and inanimate objects. While mechanical detection of IR radiation has been possible since Samuel Pierpont Langley invented the bolometer in 1880, devices that also can recognize and identify an IR source after detection have been more challenging to develop. 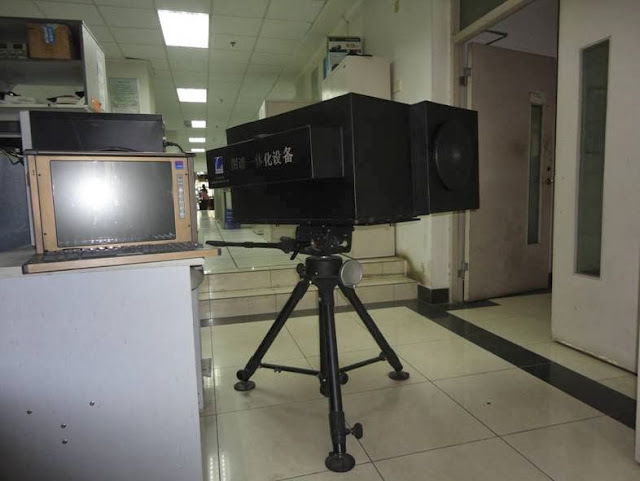 In a recent paper in the journal Review of Scientific Instruments, researchers at two Chinese universities describe a novel instrument that successfully does both tasks with extremely high sensitivity by splitting the IR radiation given off by an object into a long-wave portion for detection and a mid-wave portion that can be spectrally analyzed for accurate identification. Conventional remote sensing systems share a single sensor for both imaging and spectral data processing. 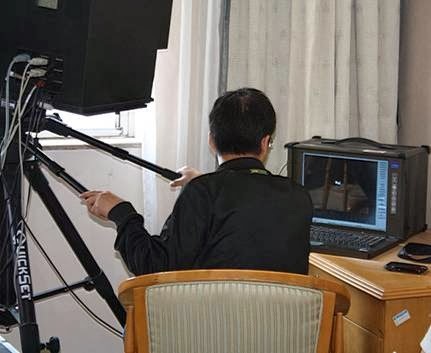 The new instrument designed by the Chinese researchers has separate sensors for each task and uses a dichoric beamsplitter to divide the IR signal from an object into two components, a long-wave IR (LWIR) beam and a mid-wave IR (MWIR) beam. "The LWIR beam goes to the imaging sensor and the MWIR to the spectrum recognition sensor," said Tianxu Zhang, corresponding author on the RSI paper and a physicist at the Huazhong University of Science and Technology. "This allows us to simultaneously obtain high spatial resolution, frame rate and spectrum resolution, resulting in higher sensitivity for measuring the IR spectrum than currently available combined IR imaging and spectral-analysis devices." The researchers increased the capability of their instrument by mounting it on a two-dimensional rotating stage. "Once we locate a target of interest, especially a moving one, the stage lets us keep the object in view and sample its IR," Zhang said. "This gives us the ability to define an object's IR spectral curve very precisely and better use the data to distinguish it from another IR radiating source." In their experiment, the researchers used the dual-based IR remote sensing system to observe the spectral curves of the sun and airplanes in flight from distances up to 6 kilometers (4 miles). "We learned that spectral curves of aerial moving targets are different when measured from different directions," Zhang said. "So, the more data collecting multiple curves for an object, the more distinctive its IR signature." The researchers say that they plan to use their remote sensing system to build a database of such highly defined signatures. "We want to add the spectra of as many objects as possible to our dataset, thereby increasing the accuracy and reliability with which we can identify objects," Zhang said.